There’s only 2 days of classes left counting today with Friday being Study Day. That means there’s only a handful of activities left this semester, but that doesn’t mean what’s left isn’t great. 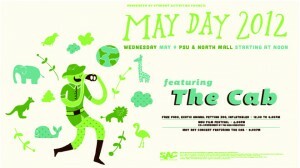 We’ve got May Day today starting at noon on the North Mall. This year May Day will take you on a World Safari, complete with exotic foods, wild adventures and great music throughout the day. So come check it out from 12 – 4! A video highlighting an alternative spring break trip to Chicago, Illinois has been selected as a finalist in the NAFSA 2012 video contest. The video shows how students volunteered at various organizations, focusing on the issues of homelessness and hunger. Vote for the MSU video here. The MSU Ad Team will be traveling to Washington D.C. this Friday to present a campaign they developed over the semesterfor the Medical Reserve Corps. They have previously developed campaigns for the American Public Transportation Association, National Highway Traffic and Safety Administration, and Mercy Hospital. 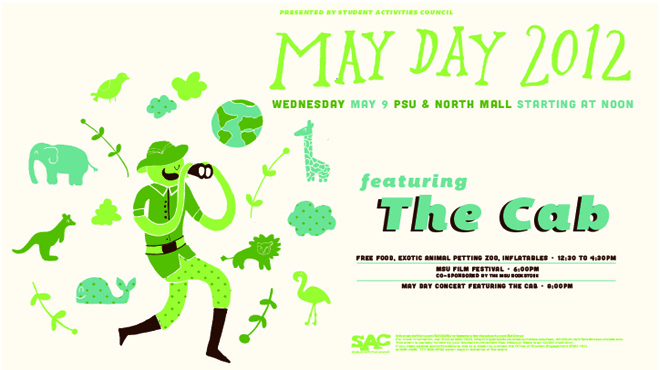 May Day goes from noon – 4 PM on the North Mall. Come out for some great activities! SAC and Missouri State Bookstore Presents: May Day Film Festival at 7 PM in the PSU Theater. Come check out student shorts on the theme “The Missouri State Experience”. 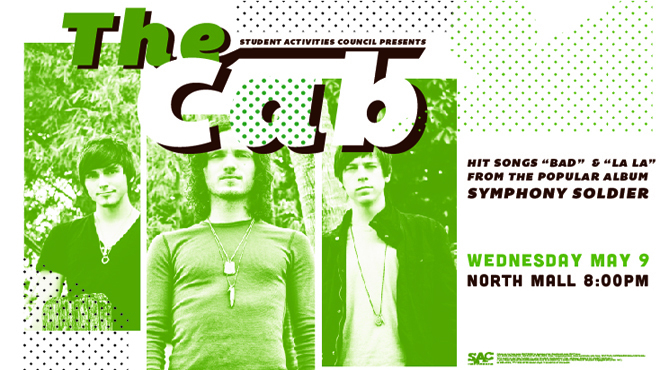 The Cab will play at the North Mall at 8 PM. Listen to the band play their hit songs “Bad” and “La La” from their album Symphony Soldier. SAC After Hours Presents: Space Jam at the North Mall at 9 PM. Catch the classic basketball film featuring Michael Jordan and a rag tag group of Looney Tunes taking on the Monstars. Study Day – no classes. SAC Presents: Finals Massages from 11 AM – 5 PM at the Meyer Library Lobby. Come to the library for a free chair massage from a professional masseuse. 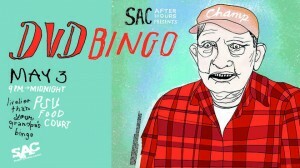 SAC Presents: Rock ‘N Bowl. Play free games in the Level 1 Game Center from 7:30 – 10:30 PM. Electronic Arts Showcase in the PSU Theater. Catch some great student projects such as Ghoul School. President’s Finals Week Breakfast at Blair-Shannon Dining Center from 10 PM – midnight. Come get a hot finals week breakfast and win a variety of prizes. Must have your BearPass Card to enter. MJF Student Showcase in the PSU Theater at 6 PM. See some of the great projects Media, Journalism and Film students have been creating throughout the semester including Thrown and Closure. 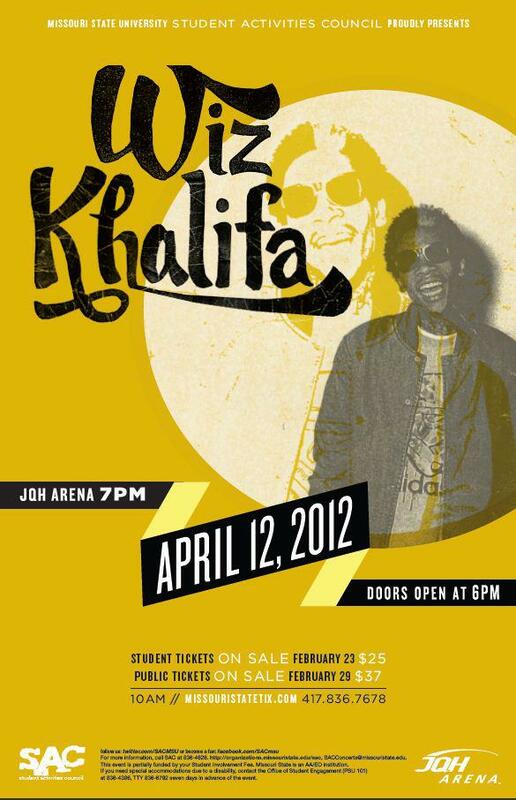 Wiz Khalifa, John Mulaney, Vanessa Bayer in a star studded week at MSU. 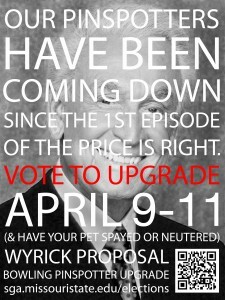 It’s the last day to vote for the Wyrick Proposal to upgrade the pinspotters in the Level 1 Game Center. Make sure you go online and vote. There’s a lot going on this week so let’s get into it. One quick announcement: On Monday, April 16th, the Task Force on General Education Revision will host an open forum session from 11:45 a.m. to 12:45 p.m. in PSU 314 (B and C). All students, staff, and faculty are invited to attend this important session, and we encourage the audience members to offer input and ask questions about the process we are following and decisions that have been made up to this point. For more details about the General Education Revision process or the Task Force, visit the website. The Blood Drive continues this week (April 10th-12th) from 11 AM – 6 PM in the PSU Ball Room. SAC Films Presents: New Year’s Eve. Catch the star-studded film Wednesday at 9 PM in the PSU Theater. SAC Presents: Wiz Khalifa with The Deans List. The big SAC concert is finally here! Doors to the JQH Arena open at 6 PM and tickets are $25 for MSU students and $37 for the public. 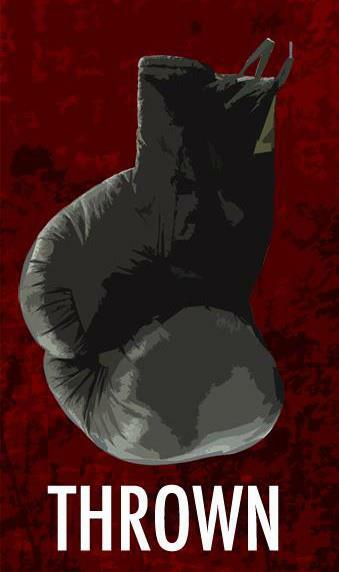 Registration Deadline for SHARP Self Defense for Women. Make sure you sign up online at Campus Recreation. Wing It and Sing It – Karaoke Night. AAPIO is hosting a karaoke night for Asian American Heritage Month in PSU 313 from 7 – 9 PM. 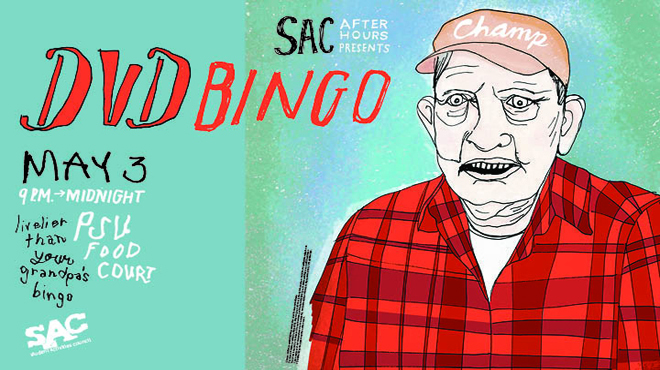 SAC Presents: Rock ‘N Bowl from 7:30 – 10:30 PM in the Level 1 Game Center. Join SAC as they provide free bowling, pool and games in the Level 1 Game Center located on the bottom floor of the PSU. Catch New Year’s Eve in case you missed it Wednesday. SAC Comedy Presents: John Mulaney and Vanessa Bayer at Juanita K. Hammons Hall from 7 – 9 PM. Come see comedian and writer for SNL John Mulaney along with SNL cast member Vanessa Bayer perform stand up. Student tickets are free, $10 for the public. 2012 Public Affairs Conference kicks off. Find out more at the Public Affairs site. SAC Presents: Quite Tickled Tuesday from 7 – 9 PM in the PSU South Lounge. Come join SAC for an open-mic night and show off your comedic talents. You’ve waited long enough, DON’T WAIT IN LINE! Every student is required to agree to a waiver of liability before using the new Foster Recreation Center. Skip the long lines by doing this NOW! Here’s how: log in to My Missouri State, access the Profile tab, under Wellness select “Recreation Center Waiver of Liability” and agree! Need a job? We have several open positions on the student employment website. Check them out. CPR and First Aid Certification opportunities are coming up! Registration for Session 3 ends This Friday, 4/13. Wilderness First Aid certification is also available with proof of CPR/AED certification. Registration ends 4/18. See website for details. Rock Climbing trips to Arkansas are coming up! Learn the ropes from experienced guides on a trip you won’t soon forget. Reserve your spot soon! Check out our website for detailed descriptions and schedules. Follow us on Twitter and become a fan on Facebook to stay up to date on what’s happening with Campus Rec and the new Foster Recreation Center! Spring break is almost upon us. Stay connected with campus over break on our twitter @MSU_PSU by letting us know of any great trips you’ve got planned. Bullying Past High School – Who, What, and Why? is a workshop offering students the opportunity to discuss bullying on a college campus and how it affects student life. The event runs from 12 – 1 PM in PSU 313. SAC Presents: The Muppets at 9 PM in the PSU Theater. Catch it again if you’ve already seen it, or if you’re not sure if you want to yet check out our preview. 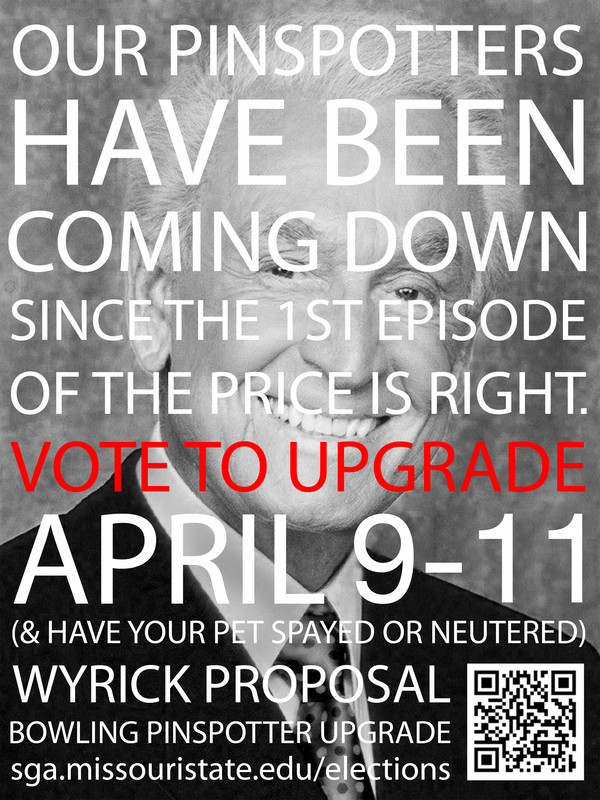 No Sunday showing this week so make sure you see it Wednesday! 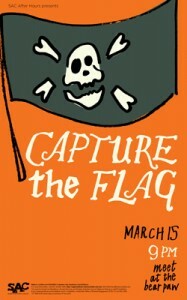 SAC After Hours Presents: Capture the Flag at 9 PM. 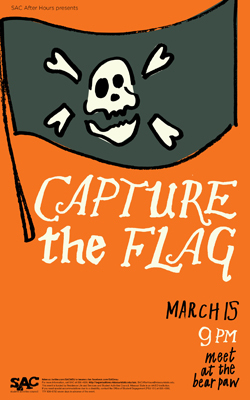 Meet up at the Bear Paw to participate in a campus wide game of capture the flag! It’s the last day of classes before Spring Break! Tweet your Spring Break plans to the PSU @MSU_PSU. Spring Break! Wooh! Rest up and get ready to come back full force for the push to the end of the semester. Intramural dodgeball and table tennis tournaments are coming up! Registration ends FRIDAY. Sign up on our website. Ready for an adventure? Take advantage of Spring and join us for our Backpacking, Paddle, and Rock Climbing trips! Dates, prices, details, and information on FREE clinics. Two free weekends! Rent equipment during Spring Break and keep them the weekend before AND after for free! Includes camping and rock climbing gear, sports equipment, and more. Check online for complete list and reserve yours while they last. Follow the PSU on Facebook and Twitter to find out where we'll be in advance. 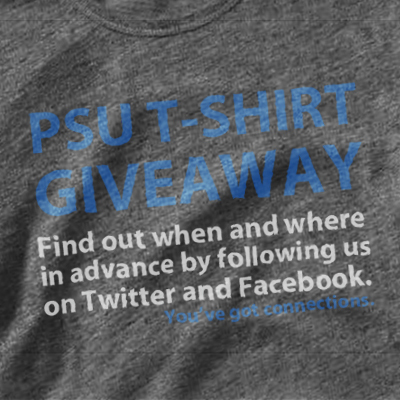 We’ll be giving out a limited number of free shirts courtesy of the PSU starting tomorrow (March 8th) afternoon. If you don’t already follow us on Facebook or Twitter, now would be the time. We’ll be posting where we’ll be on campus giving out the shirts in advance so you can better your chances of getting a shirt by knowing where to find us. Mystery in Springfield Luncheon. The Mayor’s wife is dead. No one knows how or why. Intruder? Suicide? Murder? It will take all the wisdom and expertise of forensics professionals to solve this mystery. The event begins at 11:15 AM in PSU Ballroom West. SAC Presents Erin Gruwell followed by a screening of the film based on her experiences at an inner city school in California. See Erin speak at 7 PM followed by a screening of Freedom Writers at 9 PM in the PSU Theater. Check out our preview. SAC After Hours Presents: Dueling Piano. Come to the PSU Ballroom and enjoy two players from Ernie Biggs Dueling Piano Bar go at it. Enjoy free mocktails and food. The event begins at 9 PM. SAC Presents: Chris D’Elia. Chris D’Elia will be performing stand up at the PSU Theater at 7 PM. Chris is best known from his role as Alex Green on the NBC Comedy Whitney and he appeared as a guest in an episode of Comedy Central’s Workaholics. SAC Presesnts: Rock ‘N Bowl. FREE bowling, pool, ping pong, foosball, and Wiis! Every Friday* in the semester, Student Activities Council will host Rock ‘N Bowl for students to come hang out in Level 1 Game Center for free. Event goes from 7:30 – 10:30 PM. International Dance. The event will host many different forms of dancing from all over the global, including: African dancing, hip hop, Latin dances and so on. At the same time you will also have an opportunity to practice and try out these dances for yourself. Event goes from 6 – 9 PM in PSU Room 300. SAC Presents: The Muppets. 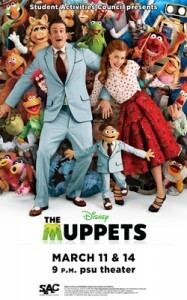 The film schedule is a bit different this week with The Muppets screening on Sunday and the following Wednesday. The film starts at 9 PM in the PSU Theater. Check back for a preview next Tuesday. Keynote Speaker Heidi W. Durrow will be in the PSU Theater at 7 PM. Heidi W. Durrow is an award winning novelist of the book The Girl Who Fell From the Sky and host of the award winning podcast Mixed Chicks Chat. Heidi W. Durrow’s talk will focus on her life as a writer with a focus on this year’s Women’s History Month theme of Women’s Education: Women’s Empowerment. Film Screening – Miss Representation in the PSU Theater at 7 PM. Directed by Jennifer Siebel Newsom, the film explores how mainstream media contributes to the under-representation of women in influential positions in America and challenges the media’s limiting and often disparaging portrayals of women, which make it difficult for the average girl to see herself as powerful. SAC Presents: Quite Tickled Tuesday. Quite Tickled Tuesday is an amateur comedy night here at Missouri State University, giving students the opportunity to show off their talents in comedy. The event starts at 7 PM in the PSU South Lounge. Show up early to get your spot! 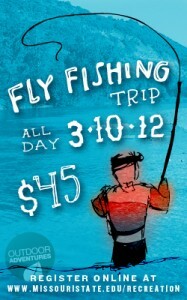 Register for the Campus Rec Fly Fishing Trip! Go on a Spring Break adventure. Rent camping, caving, floating, rock climbing, and outdoor sports equipment from Campus Rec at a discounted Spring Break rate. Rent for the week of Spring Break, and get the weekend before and after for FREE! Stop by our office in PSU 131. Don’t wait in line! You’ve waited long enough for the rec center, skip the long line and sign the liability waiver electronically before it opens: Log in to My Missouri State, access the Profile Tab, under Wellness, select “Recreation Center Waiver of Liability” and agree.